This entry was posted on February 15, 2019 by Van Rental. You hire a van to move house and drive it home empty. It seems almost like a car, quick to accelerate and easy to stop. What you may not be prepared for is how much longer it will take to stop when you’ve loaded it up with the contents of your house. New research by Volkswagen Commercial Vehicles have shown that a mere 500kg of weight will increase braking distances by up to 36%. At 30mph, VW found that braking distances increased by 33% with a 500kg load. That’s an extra two metres, which is a lot in heavy urban traffic. At 60mph, the braking distance only increased by 19%, but because of the much higher speed VW found that their vans needed an extra five metres to stop. That’s roughly the length of a medium-sized van. Even that may not be enough. If you’re moving house, you might find your load weighs considerably more than 500kg. A typical 3.5t luton van or long wheelbase Transit will carry around 1,000kg. And you might be surprised how the weight of your furniture and other belongings adds up. With this extra weight on board, I’d expect your stopping distance to be considerably longer than the figures suggested by Volkswagen. As a rule of thumb, the more heavily loaded your van is, the more space you should leave to the vehicle in front, especially when in town or on busy high-speed roads like A-roads and motorways. For more tips, check out our first-timers guide to driving a van. Students! Do you need a van to head home for Easter? This entry was posted on March 14, 2018 by Van Rental. Shifting your stuff is much easier in a van than in your parents’ car! Think about sharing with an older driver to avoid age restrictions. It’s the end of another term. You’ve got revision to do. What you don’t need is to have to empty your room and shift all your stuff back to your parents’ house half way across the UK. And then bring it back again a few weeks later. Unfortunately we can’t help you keep your uni room over the Easter holidays. But we can help you to cut costs and ease the pain of shifting your stuff around. Do you really need to take everything home for just a few weeks? If your university is in a major town or city, you’ll almost certainly have self-storage facilities available nearby. Why not hire a storage unit and then get the train home? If it’s too big, you could share the cost with a friend. How to get everything to the storage unit: If you have a friend with a car, even a small one, then you can probably manage by making several trips. If you don’t, then the cheapest option might be a ‘man and van’ service which charges by the hour. The other option is to hire a van and drive yourself (or get an older friend to do the driving). Hourly van hire is available from companies in most cities, including Europcar, Hertz, Enterprise and Zipvan (note that Europcar’s service is a standard rental, the others require you to join a car-sharing club). If you need to take everything home, then the usual routine is for your parents’ car to be pressed into service as an improvised van. But this isn’t always ideal. It might not be big enough and could end up getting scratched and dirty inside thanks to all of your boxes and bits. A far better solution is to hire a van. This can be surprisingly cheap, as even a small van is bigger inside than most cars. The biggest problems are age restrictions and the need for a one-way hire. One-way van hire: Nominating a parent to drive can also solve the one-way problem, as your parents can hire a van at home, pick you up, and then drive it back! Joking aside, this is sometimes be the best and cheapest option. Your stuff will probably fit easily into a small van (unless you have a lot of furniture) and one-way fees can be quite high. A single-day return hire will be much cheaper than a one-way van rental. Van hire companies will often offer you extra insurance to reduce the excess on your rental vehicle to £0. This can be quite expensive. It’s normally much cheaper to buy your own van hire excess insurance from a third party. Here’s our quick guide to help you compare van hire excess insurance. Prices start from just £6.33 per day*. It’s very affordable and often normally provides extra cover compared to hire company insurance. *Price believed to be correct at time of writing (12/03/2018). Check before you buy. This entry was posted on August 16, 2017 by Van Rental. The end of the summer holiday is approaching. The dreaded return to university is almost upon us. Impossible amount’s of ‘stuff’ that just won’t fit in your family car, even if everyone but the driver travels by train. The solution is simple. By hiring a van, you can fit everything in comfortably. You may even be able to share the journey and the costs with a friend. The extra cost in fuel and hire charges could easily be cancelled out by the cost of making two trips by car if you don’t fit everything in the first time. Demand for van hire is sky-high at this time of year. But prices are still reasonable and our suppliers are still showing some availability. However, I’d recommend booking now if you need a van, as popular locations and van sizes are in limited supply and may soon be booked up. The university run is a lot simpler and less stressful if you go by van. Why not give it a try this year? What’s the minimum age? Van hire is not generally available to drivers under 21 and those under 25 may incur a surcharge. Can I hire one way? One-way journeys also normally cost more, and your choice of pickup and dropoff may be more limited. The solution: The best way to do #backtouni van hire is to get a parent or home-based friend to hire the van. That way you won’t have to worry about one-way charges or young driver fees. Still got questions? Get in touch with us on Twitter @vanrentaluk or through our Facebook page. This entry was posted on August 25, 2015 by Van Rental. Boxes need to be strong to be stacked safely – especially if they’re heavy. Stack heavy items at the front and bottom. Sky-high property prices mean that a whopping 19% of Brits don’t think they will ever be able to afford to buy their own home. Even for those lucky enough to be able to save for a deposit and secure a mortgage, the stress and hidden costs of moving can be tough to deal with. 10% of couples will argue when moving house, while 3% of those questioned in a new survey even said they’ve broken up with a partner during a house move. These figures, from a new survey by Budget Van Rental, highlight how emotionally charged moving house can become. One reason for this is that packing — and unpacking — can take much longer than expected and result in unforeseen loss and damage if not done correctly. On average, house movers start packing 13 days before their moving date, but some are living out of cardboard boxes for as long as 60 days. Movers often aren’t in a rush to unpack, either. It takes an average of 45 days for movers to unpack fully in their new home. Of course, the easiest way to move is to pay a professional removals firm to pack, move and unpack for you — but this kind of service doesn’t come cheap. If you’re moving house on a budget and are planning to use a hired van for the majority of the move, then here are some tips to help you avoid the most common problems. Make a list – start it early, include deadlines and keep one list in one place so it doesn’t get mislaid during the upheaval. Get a folder – it sounds obvious but it’ll be your ‘go to’ place during the whole process of moving home. 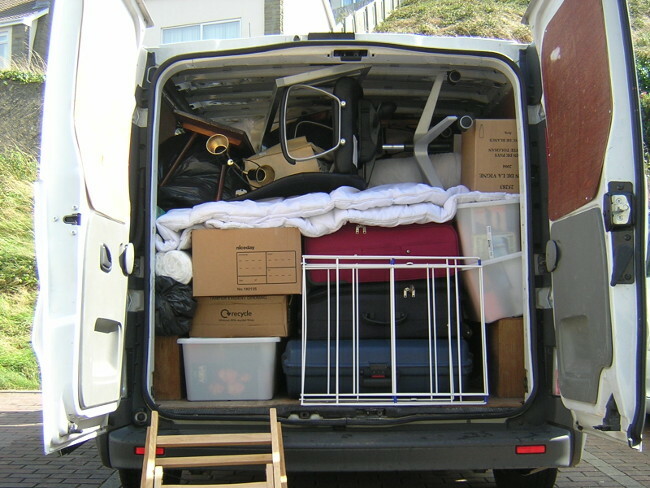 Book a van – don’t try and squeeze everything into a car as you’ll often end up making several wasteful journeys. Think about what size van you need and book early, as do one third (29%) of relocating Brits. Recruit friends and family – get dates in the diary so you aren’t left shifting everything by yourself. Over a quarter (28%) of people moving home call in favours from their nearest and dearest. Declutter your belongings – recycle, rubbish and charity bags at the ready, particularly if you’re one of the 10% of Brits who transport items to their new property by foot or public transport. Work day-by-day, doing little and often. Declutter your furniture – be ruthless and think about what will work in your new home. Arrange collection, disposal, or resale using sites such as eBay, Gumtree and Freecycle. Don’t forget your post – add all companies you’ll need to notify of your new address to your list, or set up mail redirection through Royal Mail for 3, 6 or 12 months. Make sure your essentials are easily accessible on moving day – tea-making equipment is a must if you’re like one third (31%) of home movers who stick the kettle on as soon as they get into their new pad. Make sure you factor in enough time to unpack – don’t underestimate this. If you think you need two days off work for moving, then take off four. Bear in mind it takes an average of 45 days to completely unpack. For more tips on how to load a van and do your own removals, check out the vanrental.co.uk DIY removals guide. This entry was posted on December 15, 2014 by Van Rental. If you’re thinking about hiring a van to move house, there’s lots to get your head around. Not only have you got to be aware of the maximum weight that your van can carry, but you’ve also got to understand the jargon that goes along with hiring a van. We’ve put together a jargon buster to help you get on the road and answer the most commonly-asked questions. Luton van: This is a van with a box body on the back. These are popular with small removal companies as they offer more space and a wider, flat floor with no wheel arches in the loadspace. 3,500kg or 3.5 tonne: These are the same thing, as 1 tonne = 1,000kg. Most big hire vans are described as 3,500kg vans. This means the maximum permitted weight of the van itself plus the load and any passengers is 3,500kg. Payload: This is vital — the payload is the maximum load weight you can put in the van, including passengers. Overloaded: This is what happens if your 3,500kg weighs more than 3,500kg when you are stopped by the police — whether in the UK or Europe. Depending on how much over the weight limit your van is, you will be fined and/or forced to remove the surplus weight from the vehicle before being allowed to continue. Ignorance is no excuse if you’re overloaded: you, the driver, are always liable, regardless of circumstances. If you’re shifting boxes of wine or bags of cement (for example), it’s easy to know how much your load weighs. Each item is labelled with its weight, and they’re all the same. Unfortunately it’s not so easy with household goods. You can’t realistically weigh your furniture, for example. The solution, if you want to be sure, is to take your loaded van to your nearest public weighbridge before setting off. You can usually find details of these on your local council website (or try your nearest major recycling centre). Christmas is over and pretty much everyone is now back to work, but the first full week in January is also significant for another reason — people start moving house again, after the Christmas lull. If you’re moving in the next few weeks, then I’d urge you to book your van hire now (or at least do it as soon as you have a fixed date for completion). Although availability is now considerably better than it was during the pre-Christmas rush (when courier companies hog a large proportion of hire vans), van rental companies are still busy, and your chosen combination of van size and date could soon become unavailable. The simplest way to get started is to use our van hire comparison system, which allows you to save money by comparing prices from most of the UK’s major van hire companies on one website. Our system displays prices for all popular types of van (e.g. Transit-size panel vans, extra-long vans and luton box vans) — so click here to give it a try. You don’t have to provide any personal data to compare prices, and your booking will be made by you, directly with your chosen hire supplier. 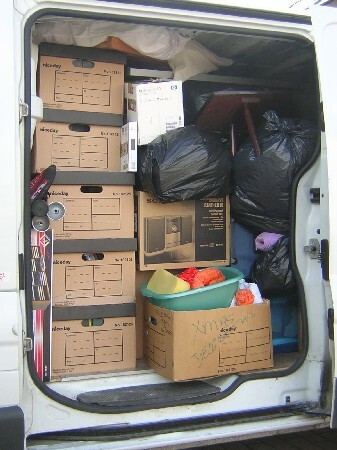 Of course, there’s a lot more to moving house than simply hiring a van. Here at vanrental.co.uk, we’ve been there, done that, and got the t-shirt, so we’ve produced a simple one-page DIY removals guide to cover all of the main areas. Finally, we know that driving a van for the first time can be daunting, so we offer a free, printable guide to driving a van for the first time, too. Good luck if you’re moving in the next few weeks! This entry was posted on October 10, 2011 by Van Rental. vanrental.co.uk has just published a new guide to self storage. The market for self storage has grown steadily in recent years. Many people now find that they simply have too much stuff to keep it all in their homes. Sky-high city housing prices, difficulties with housing chains and temporary stays in rented accommodation have all helped grow the market for self storage across the UK, particularly in London, the south east and in major cities. Van rental customers are often also in need of storage facilities, so we have produced a Self Storage Guide to help you understand how self storage works. The principles are simple – you get a storage room that is all yours for a fixed weekly or monthly fee. Most companies provide a wide range of size choices – from cupboard-sized up to an area the size of a garage, or even bigger. It all depends what you need. Most self storage companies provide quotes by email, some have prices on their website. To find out more about self storage, click here. If you are thinking of moving abroad or buying a holiday home in the sun, you will have a lot of decisions to make and questions to answer before you can complete the deal and take possession of the keys to your dream home. A wide range of exhibitors from all the popular overseas home markets will be at the show – Spain, Portugal, Florida, Turkey, Cyprus and more. Of course, the presenters of the A Place In The Sun television series – Jonnie Irwin, Jasmine Harman and Amanda Lamb – will also be there with advice and tips for overseas home buyers. Book A Ferry – our ferry guide talks you through the information you will need to book your hire van on a ferry and shows you all the most UK-Europe ferry routes, including direct sailings to Spain and Ireland. Finally, don’t forget to check out our guide to driving a van abroad. To find out more about A Place In The Sun Live, visit the organiser’s website. This entry was posted on August 10, 2011 by Van Rental. Are you planning to hire a van for a small scaffolding job? Perhaps you are working on a self-build home or a holiday home renovation. Scaffolding comes in a wide range of shapes and sizes and can be quite heavy. You definitely need to have a rough idea of what you will be transporting before you choose a hire van (or 7.5 tonne truck) to carry it; paying for delivery sometimes makes more sense. There are two main types of scaffolding – conventional scaffolding and system scaffolding. Put simply, conventional scaffolding is what scaffolding companies use – it is suitable for all jobs, can be built to almost any shape and size and is very strong and long-lasting. It is also requires skilled scaffolders to erect it – it is not DIY friendly if you don’t have any experience of scaffolding. System scaffolding is designed for DIY use – it is a bit like the scaffolding equivalent of flat-pack furniture. You can buy it in kits and it comes with instructions! Most people working on self-build and DIY renovation projects will choose system scaffolding if they want to put up their own scaffolding – it is safer and easier. 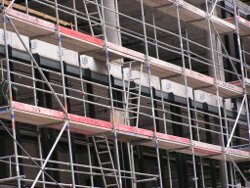 This website sells both types of scaffolding and has lots of good information – it is well worth a read if you want to learn a bit about scaffolding from the experts. What Size Van For Scaffolding? Scaffolding tube comes in a variety of lengths. The size and weight of scaffolding tubes is why scaffolding for large jobs is always transported on a lorry, usually a 7.5 tonne dropside. System scaffolding such as Kwikstage and Cuplok seems to come in shorter lengths. I think this is due to the modular way it is constructed. The longest lengths I have found are 12′ (3.6m) – so you should be able to load this into an extra-long wheelbase van without problems. Again, make sure you load the tubes so they are lying flat and are pushed up against the bulkhead. Remember: If you are planning to transport scaffolding, make sure you understand its weight and dimensions accurately before arranging a hire van with suitable payload and loadspace dimensions. This article is provided for information purposes only and is not a definitive guide. Click here for our guide to van sizes. Heading Abroad For A Holiday Home Renovation? This entry was posted on August 6, 2011 by Van Rental. Holiday homes seem to offer the opportunity for endless idyllic holidays, but as anyone who has owned one knows, that is only half the story. Many people buy old wrecks with the intention of doing them up and even those that don’t often discover that at least some of their holidays will have to be spent on DIY and maintenance work. If you are working on a big project abroad, one of the problems you might face is arranging for all the supplies you need to be delivered to your holiday home. Not only will you probably have a language barrier to deal with, but you are also likely to have very tight time frames. After all, if you are planning to spend a fortnight fitting a new kitchen to your Spanish villa, a delivery estimate of ‘the next fortnight’ is not much use. It can’t be delivered before you get there but it needs to be delivered as soon as you get there. My experience of UK building merchants and kitchen suppliers is that kind of precision delivery is a rare thing. One solution that could save a lot of frustration and risk is to simply take everything you need with you. That way, you can choose, order and inspect your materials at your leisure before you go and know that you will have everything you need to hand as soon as you arrive at your holiday home. There’s still one problem – I hear you say – how on earth can I get it all there? Van hire, of course! Plenty of UK companies allow their vans to be taken abroad and modern vans are more than capable of munching up a few thousand foreign motorway miles at respectable speeds. What’s more, if your holiday home is in Spain, you can hire a van one way from the UK to Spain. Your family can follow along behind or go ahead, you can bring the stuff in the van and then you can return the van and return home with your family. 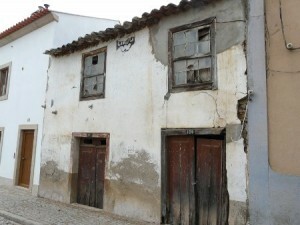 Click here for more information on one-way van hire between Spain, UK and Portugal.